Wellness for the World: Detox w/o Drainage...Scary! Most everybody has heard about detoxification but very few are familiar with drainage. The interesting fact though, is that drainage is actually more important than the detoxification. You'll "get" this today. We'll first discuss the liver, understanding that your liver is going to actually address approximately 80% of detoxification in your body through a phase I and phase II detoxification. Phase I liver detoxification is often referred to as biotransformation. Within this biotransformation, enzymes change the biochemical structure of toxins, drugs, etc., which are fat soluble into water-soluble metabolites. This process is governed by at least 50 different enzymes and this primary enzyme system is known as the cytochrome P450 (CP450) system. Simply put, toxins are converted to water soluble metabolites. These metabolites are usually less active, but they can be even more toxic than the original toxin. It is important that these metabolites are processed and excreted. If not, they will accumulate in the tissues of the body rather than in the bloodstream. These can be deposited in the fatty tissue, connective tissue and/or nervous system tissue. As a side note, storing toxins in connective tissue and/or nervous system tissue can be a very painful experience but generally only and issue for those that are very lean. I remember years ago when I was working along side Dr Mercola, we had a young woman (maybe late 20's or early 30's) come into the clinic that moved as if she was in her 80's, and I mean an unhealthy 80's. You could actually see that pain on her face with every step and when she hit the chair in my office, she burst into tears. What you do not know is that she was very health conscious, very lean and fit. Just prior to coming into the clinic, she had all her silver amalgams removed improperly and this released a significant amount of toxins (mercury) into her body. Because she was so lean, there was not much fat tissue as a storage for these toxins, therefor connective tissue and nervous system tissue were the point of storage. I cannot begin to tell you how upset and distraught this woman was. During phase II liver detoxification or also known as the conjugation pathways. Through different metabolic pathways, amino acids, sulfur, vitamins, minerals, and other natural substances bind or conjugate to the metabolites from the Phase I enzyme process so that they can be eliminated. If the nutrients needed to conjugate the toxins are in low supply, the toxins re-circulate as new toxins that are sometimes more toxic than the original toxin. You can tell that your phase II conjugation is sluggish if perfumes or scents start to create symptoms for you. Also understand that hormones, natural waste products, medications, and fat-soluble vitamins are also broken down through the liver detoxification process. Now as far as your kidneys are concerned they receive 20% of the blood pumped to the heart. As the blood flows to the kidneys they remove wastes and then return the processed, purified blood back to the body. Waste material and water leave the blood and enter the urinary system. Toxins then end up in the urine. Within your lymphatic system, the lymph fluid picks up nutrients, hormones, waste products, bacteria, and cellular debris. Then your lymph nodes act as a toxin filter and the lymph fluid is circulated by physical activity (especially rebounding), deep breathing, massage and dry skin brushing. Now we can look deeper at the difference between detoxification and drainage. The term detoxification is usually referred to as the “release of toxins from their binding site” (the cell). Understand that the process of detox is not complete unless the toxins are actually eliminated from the body. 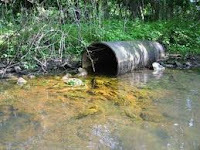 The process of taking the toxin from the cell to its final elimination is called drainage. If adequate drainage does not occur with detox, it can lead to a phenomenon known as the toxic ping-pong effect. This toxic ping-pong effect is no game though. The toxic ping-pong effect occurs when toxins, instead of being eliminated, are simply relocated to a new binding site. This occurs when detoxification is undertaken without appropriate drainage therapy and the body cannot handle the extra stress from stirred-up toxins. Failure to eliminate the toxins can lead to systemic toxicity. Remember that we mentioned earlier that during phase I liver detoxification the toxins are actually more toxic then they were in the beginning. With your new understandings, is drainage important? You bet it is and so important that if you are detoxifying without proper drainage, you're doing nothing but asking for trouble. Here at Depke Wellness we regularly walk our clients through a 30 day program that focuses on detoxification along with you guessed it, DRAINAGE. We also encourage other lifestyle factors to assist both the detoxification and drainage process. If you have any comments or questions in regard to this article, feel free to post this below for me to address personally. Hi Glen, great article and I was wondering when you were going to address the issue of drainage. I learned from Dr. Bruce Shelton, and would never ever think about starting someone on detox without drainage first, maybe even a few months first. Thanks for the great explanation. I actually use one of two methods for drainage and they are both liquids. From Marco Pharma I will use either Solidago or Bucco for the kidney, Hepatica for the liver and colon and Lymphonest for the lymph. For those with chronic constipation I may also add Cholonest. I have recently been using homeopathics from Apex Energetics for the lymph, kidney and liver with great success also. Unfortunately, such proliferation, variety and availability of detox aids makes identifying the ideal personal detox program a daunting task. years of experience, we’ll handle it. As for your health, no risk! There is a safe and effective way to detoxify and alcohol.Neworld Detox "Cold turkey!" It should not be an option.